Speaker First is from the highlands of West Java, Indonesia. Formed by twin brothers Beny and Bony, they decided to put the soul back to the music, when everything about it is a hard earned affair. 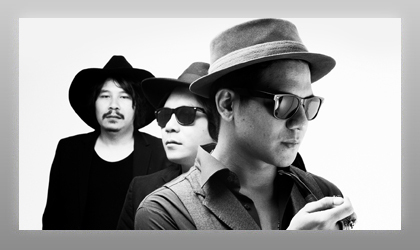 Inspired by the Golden Age of Rock, disturbed by the Indonesian mainstream music scene, they formed Speaker First. The trio is comprised of Mahattir Alkatiry (lead vocals, bass), Beny Barnady (guitar) and Boni Barnaby (guitar). Defined by their raucous, straight, no compromise sounds, coupled with thunderous drum bangs and ballsy vocals, Speaker First create their own brand or Rock & Roll, influenced by Kings of Leon, Black Rebel Motorcycle Club, Wolfmother and Led Zeppelin. The band caused quite the buzz with their single "The Anthem," which earned airplay in the U.S., Germany, Ireland, China, South Africa, Sweden, Australia, India and other countries.